A new high-performance computing (HPC) cluster at the University of Southampton has the potential to revolutionise the creation of computer code for engineering design, University project leaders announced today (9 June). The Spitfire Computer Cluster, which is based on Microsoft Windows Compute Cluster Server 2003, will enable engineers and academic researchers to more effectively perform complex computations. The project will demonstrate how HPC clusters can support complex engineering calculations such as geometry changes to aircraft features and aeroengine components using computational fluid, and structural mechanics. It also will enable multiple problems to be linked together in multi-stage and multi-physics simulations. Potential uses of the Spitfire Computer Cluster include research into internal and external air flows around aircraft jet engines, aeroplanes and Formula 1 race cars; water flows around yacht hulls, and the behaviour of biomedical implants in the body. The cluster is named in honour of the legendary Spitfire fighter plane designed by R.J. Mitchell in Southampton in the 1930s. The Spitfire's engine was built by Rolls-Royce, which maintains strong research links with the University today. Future projects involving the Spitfire Computer Cluster include research in collaboration with Rolls-Royce. Co-operation with Microsoft Corp. enabled the University to test and install Windows Compute Cluster Server 2003 and related computer equipment for the project, which will comprise two facilities. The first will focus primarily on applications for key industrial partners, while the second will provide a Windows-based, high-performance computing and data (HPC&D) platform for the broader academic community. Project leaders aim to build a community of users across a range of disciplines for the platform. Participants will explore ways to develop novel techniques for handling data and workflow from experimental tests, as well as develop and prototype new HPC frameworks such as Windows Communication Foundation, Microsoft's unified framework for rapidly building distributed applications. Users of the Spitfire Computer Cluster will comprise a range of engineers in the University's School of Engineering Sciences, including members of the Computational Engineering and Design Group (CEDG). Industry researchers and other academics will also be able to log in to the Cluster over virtual private networks or Web-based interfaces. Professor Andy Keane, Professor of Computational Engineering and Professor Simon Cox, Professor of Computational Methods, are leading the project for the University of Southampton. "This Cluster will help us test out codes on realistic-scale jobs as well as engage in design improvements and research using approaches such as design of experiment methods and optimization on full-scale problems," Keane said. "These new HPC tools from Microsoft will allow researchers at Southampton to save time in managing the clusters by using various Windows interfaces and integrating the HPC technology with other Microsoft products to improve ease of use. It will also enable a high level of interoperability with other servers in the lab." "The School of Engineering Sciences at the University of Southampton conducts leading-edge research, and we are excited to support its work," said Tony Hey, corporate vice president of technical computing at Microsoft. "We look forward to seeing how Windows Compute Cluster Server can help speed discovery and insight for researchers at Southampton." Microsoft has a long-standing relationship with Southampton, particularly in the area of high-performance computing. In November 2005 the University of Southampton was chosen as one of ten Microsoft Institutes for High Performance Computing (MIHPC). The Southampton MIHPC is led by Professor Simon Cox and Dr Kenji Takeda in the School of Engineering Sciences. The University is well-known for its expertise in computational methods for design and analysis using Windows systems and Microsoft products. Southampton was also an early adopter of Web services for grid computing, and has built extensive expertise in this area. 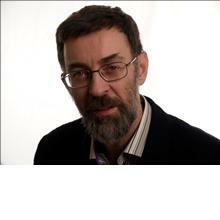 Professor Andy J Keane is Professor of Computational Engineering within Engineering and Physical Sciences at the University of Southampton. 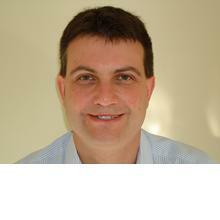 Professor Simon J Cox is Chief Information Officer at the University of Southampton. The University of Southampton is one of the UK’s top 10 research universities, with a global reputation for excellence in both teaching and research. With first-rate opportunities and facilities across a wide range of subjects in science and engineering, health, arts and humanities, the University has around 20,000 students and 5000 staff at its campuses in Southampton and Winchester. Its annual turnover is in the region of £274 million.